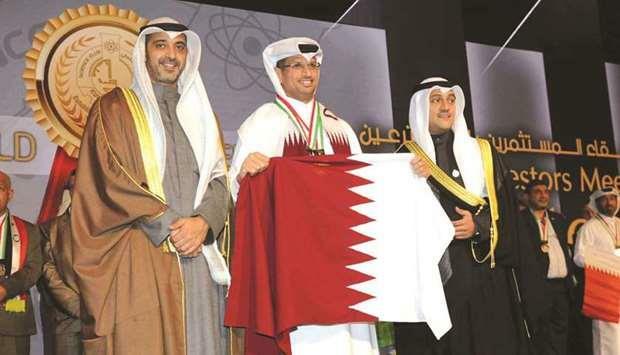 (MENAFN - Gulf Times) A graduate student at Hamad Bin Khalifa University's College of Science and Engineering (CSE) has been honoured for his innovations in security screenings at the 11th International Invention Fair in the Middle East (IIFME), hosted by the Kuwait Science Club. Ali Hassan al-Rashid, who is enrolled in the Computer Science and Engineering PhD programme at CSE, received the 11th IIFME Award, and secured three gold medals and one silver medal for his smart detection inventions at IIFME. Al-Rashid was recognised for four inventions: a Smart Security Investigator, which is able to detect people who are under the influence of narcotics and those carrying infectious diseases at airports; a Smart Vest able to read the biometric information of construction workers to determine if they are fatigued to prevent injury on the job; an Automatic Detection for Dangerous Materials in X-Ray Scanners, which provides a new method for the detection of hazardous materials and substances in baggage; and a Mobile Inspector Robot used for airport surveillance to detect explosives, counterfeit money and fake documents. The IIFME is one of the largest specialised invention fairs in the Middle East, and was held this year under the patronage of the Amir of Kuwait Sheikh Sabah al-Ahmad al-Jaber al-Sabah.